As we drove through the Kegalle and Ratnapura districts in the Sabaragamuwa province, we saw flags and cutouts of candidates placed prominently in front of their party offices. Even along the interior roads, it was the same. But, most of these makeshift offices remain empty or manned by a few persons — some of them playing cards or carom. In contrast, party offices were hives of activity during past elections. 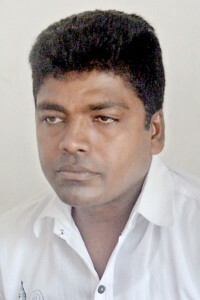 The sombre mood today is, to an extent, due to the tough implementation of the election laws, but mostly due to the lack of interest among voters in the two districts where a large number of people depend on the rubber or tea industry for their livelihood, with a fair number of people working as estate labourers. The people appear to be more concerned about the low rubber prices, the lack of water for cultivation and drinking and jobs than elections. Shantha Nandakumara, a resident of Galapitamada in Warakapola, says that although candidate after candidate comes to their houses, soliciting their votes, most people are not interested in the polls. Mr. Nandakumara says that, except for a few people, who are openly working for political parties, most residents at Galapitamada avoid publicly talking about their loyalty to a particular party, as almost all the contestants are from the village. The reintroduction of the ward-based electoral system has enabled candidates to meet more people within their wards unlike in the previous system in which they campaigned in a much bigger area. Nuwan Gunaratna, a carpenter by profession, is contesting from the UNP for the Kegalle Pradeshiya Sabha. He says that he has visited the houses within his ward at least three times. “I would not have been able to contest the elections, if they had been conducted under the previous system,” he adds. One of the most talked about poll-related developments in the area is the crossover of the Pradeshiya Sabha’s former chairman Upali Dissanayake to the United National Party. He was earlier a United People’s Freedom Alliance member. This time, too, he is contesting for the chairman’s position. His was among dozens of other crossovers that took place ahead of the nominations. A.M. Tilakaratna Banda, a Sri Lanka Podujana Peramuna (SLPP) candidate for the Rambukkana Pradeshiya Sabha says he is confident of winning as people are grateful to party leader and former President Mahinda Rajapaksa for his great service to the nation. All main meetings held by the UNP, the UPFA and the SLPP draw large crowds, but still some voters believe that the Government has not been able to develop the area and offer jobs for the youth. W.S. 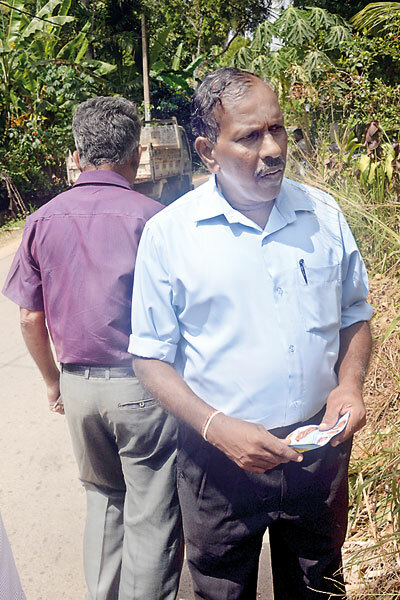 Piyadasa, a resident in Kegalle, said people go for all the meetings because they do not want to earn the displeasure of the politicians representing the major parties. “The area people mostly look for government jobs, and they feel they can get jobs only if they are in the good books of the politicians. Of course, in many cases, there is a payment involved,” he says, referring to political corruption. The JVP’s prospects appear somewhat bright due to its “clean” image and the decent selection of candidates, Mr. Piyadasa says. “For instance, the JVP list for the Rambukkana PS includes a lawyer, several teachers, graduates and a retired army officer,” he says. The Kegalle district, like many other districts, has enjoyed a relatively incident free poll, largely due to the new mixed electoral system. In the Kegalle district, home to 669,570 voters, elections are being held to the urban council and 11 Pradeshiya Sabhas. 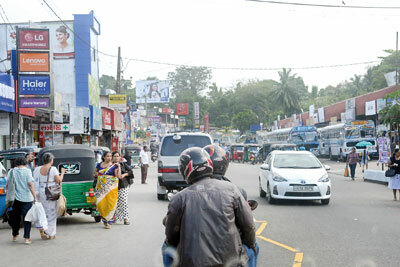 In the adjoining Ratnapura district, once known for its flourishing gem industry, election fever is slowly increasing, with party leaders – President Maithripala Sirisena, Prime Minister Ranil Wickremesinghe, JVP leader Anura Kumara Dissanayake and former President Mahinda Rajapaksa addressing meetings. We witnessed, busloads of supporters chanting slogans in favour of the former President who was to address a meeting at Godakawela. The supporters urged the people to vote for the SLPP, claiming that it was the only party that has the country’s interests at heart. In the Ratnapura district, elections are being held to the Ratnapura Municipal Council, the Balangoda Urban Council and 14 Pradeshiya Sabhas. The district has 852,473 registered voters. The Ratnapura district also has seen a few politicians crossing over to rival parties after they failed to obtain nominations from their parties. Some of the candidates from the UPFA and UNP who failed to get nominations are contesting as a separate group, thereby eating into the votes of the main parties. The lack of job creation and the sluggish performance of the gem industry are the key factors that may decide the election in the district, some residents say.